Are you looking for a party that will create memories that will last a lifetime! Well look no further! This monster of a water slide rental stands at over 18' tall and over 55' long! 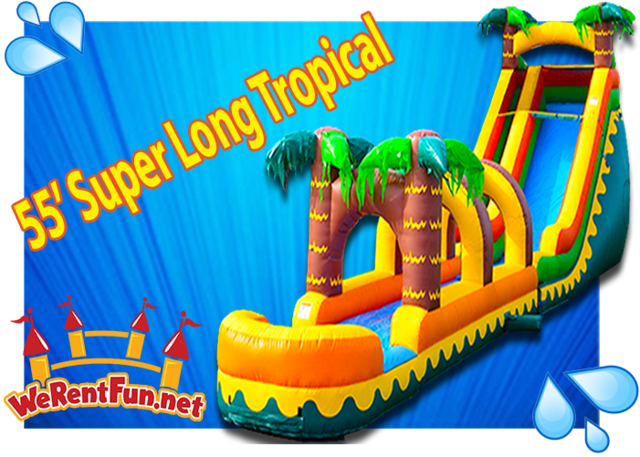 This is one of the largest water slide rentals in South, Florida, and surrounding areas! Two thrill seekers climb all the way up to the very top and count down...3...2...1...GO! They slide down through misters all the way to the bottom of the slide and shoot down the slip and slide through even more water and land into the giant inflatable pool at the end! This will create memories for all ages! 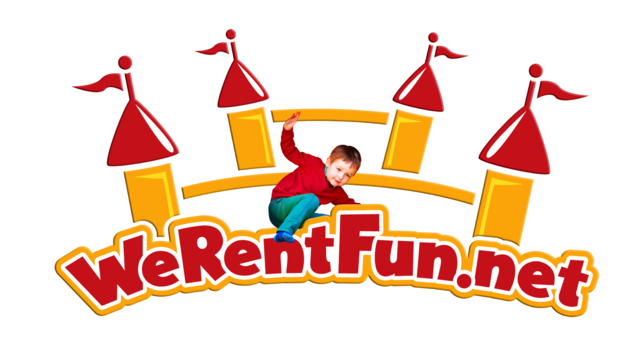 This is the perfect rental from 4 years old up to ANY AGE! We guarantee this will be one of if not the COOLEST inflatable water slide you have ever gone down! Be sure to make your reservation today because this water slide rental books up FAST! Each unit is cleaned after every rental and again on site to assure maximum cleanliness. We arrive at least 60 minutes before to assure we give our crew enough time to fix any problems that may occur and make sure the party starts at the correct time! We love the smiles that the children and adults make when they see how amazing this unit is!